This exercise is part of a sequence of exercises to help students understand single and multiple aquifer tests. In class, students will receive data from pumping tests at University of Minnesota's hydrogeology field site. 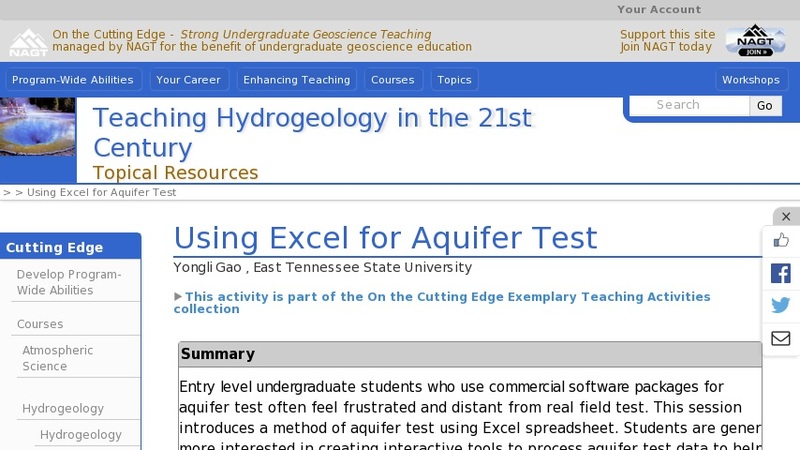 Instead of using commercial software, students will create interactive modeling tools to facilitate curve matching and to collaborate on understanding aquifer tests at different scales using different methods. The approaches used in this exercise can be extended to develop models to compare single and multiple aquifer tests using different approaches.